Ash Barty in action during the Sydney International final. 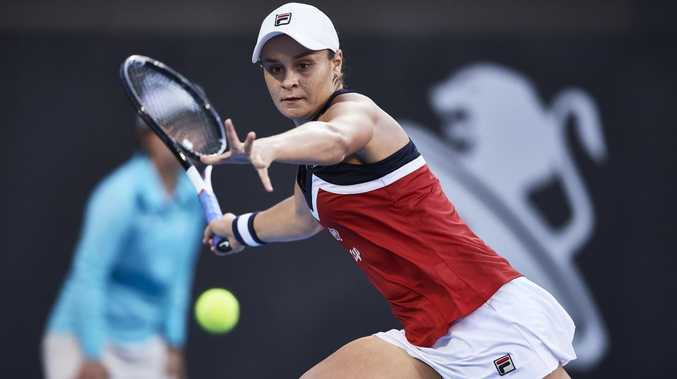 Ash Barty is confident she has the game to match it with any player in the world on the big stage as the rising star prepares to launch into her Australian Open campaign. Fresh from claiming some top-ranked scalps on her way to her second straight Sydney International final, Barty will headline Australia's hopes alongside Alex de Minaur on Day 1 at Melbourne Park. After finishing runner-up to world No.8 Petra Kvitova in Sydney, Barty has shortened in championship betting from $26 to $13 for the Open in the space of a week. Barty, who defeated Simona Halep (No.1), Elise Mertens (No.14) and Kiki Bertens (No.9) in Sydney, said her early-season form had given her the confidence that she could match anyone on court. "There are so many positives from this week, there really are,'' Barty said. "I think having the confidence, knowing that I can beat some of the best players in the world, that's the biggest thing. Ash Barty serves in the Sydney International final. "I know that I've always been able to match it with them, but to get a couple of wins is really special. Australia's top-ranked player at the Australian Open, Barty will be striving to improve on her best result at Melbourne Park, a pair of third-round appearances in the past two years. The No.15 seed, playing in her sixth Australian Open, will meet unseeded Thai Luksika Kumkhum in the evening session on Margaret Court Arena. "I played her a couple of times. 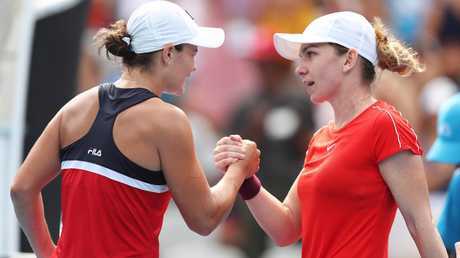 I think we've actually split the win each time,'' Barty said. "(She is a) very tricky opponent. Double-handed both sides, loves to take the ball early and put you under time pressure. Barty, 22, said was ready to ride the wave of support from the Australian crowd in her home grand slam. 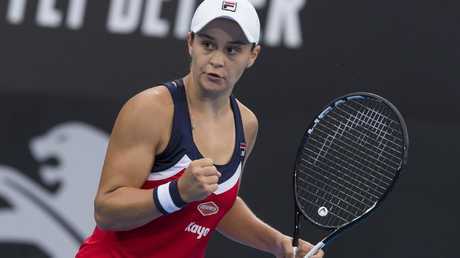 "The support that Australians get at the Australian Open is truly remarkable, it really is,'' Barty said. "It's spine-tingling at times. When you are playing a really exciting match, the crowd helps absolutely. I'm really excited to go in hopefully a packed Margaret Court Arena. "There's nothing better than a Monday night session at the Australian Open to kick us off." While Barty's impressive form has everyone taking notice, she said she was not looking any further ahead in the draw than her first round match. Ash Barty celebrates a win over Elise Mertens. 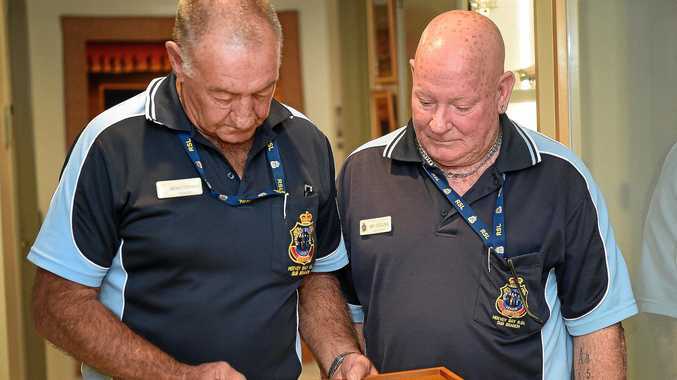 "That's all you can worry about because things can change so quickly,'' Barty said. But tennis great Margaret Court believed Barty had the ability to do some damage in Melbourne. "If everything connects for her, she has got the talent there to do it,'' Court said. Defending Australian Open women's champion Caroline Wozniacki said Barty's ascent had not come as a surprise. "Ash has been playing really well for the last couple of years already,'' Wozniacki said.